After 3500 YouTube videos, I admit, I am powerless over videos, and these thingies are unmanageable, I need help, a real human, who I can meet, talk, and discuss this problem, how to make videos for YouTube? 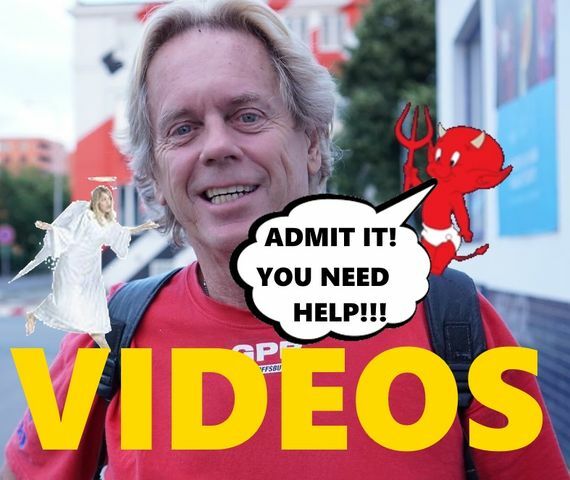 "And after 3500 YouTube videos, I admit, I am powerless over videos, and these thingies are unmanageable, I need help, a real human, with whom I can meet, talk, and discuss this problem, on how to make videos for YouTube?" I will record high quality videos, with proper sound. And, I will go to any limits to get this done, I am tired of trying to solve this problem on my own, I need help. "I cannot hear your videos." I only want to focus on the topic, the ideas, and the conversations. However, the quality of videos being made, that dominate the Internet are super. While mine annoy people because of many issues. Yes, I am making videos in the worst possible conditions on the planet. If I am going to do something, I need to do it well, or I need to stop. This is serious, I am losing battles I need to win, often the packaging of an idea is more important then the message. We can indeed be handsome, or beautiful, without a brain in our head, and be super successful. I am working on my video making. Yet, I need a person near Orland, Indiana to help me, I will drive to Fort Wayne on Saturday, and talk to workers inside the Best Buy store. Thank for you patience, and I know I lose many viewers because they cannot focus on the words, they can only focus on the form.